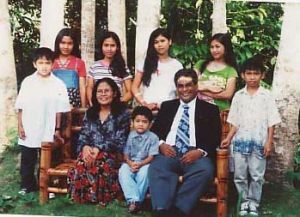 The Mumar Family live in the southern part of the Philippines. Perfecto reports that recently he walked kilometers to reach the tribal churches and pastors of indigenous ministries. He was very happy to get to baptise 20 people who had accepted Jesus as their savior, repented from their sins and believed the gospel of grace. Pls help. Me. To pray him.. Thank u and gbu. Praise God for these new members of the family of God! May grace and peace be multiplied to them!